It was a no-brainer really, wasn’t it? 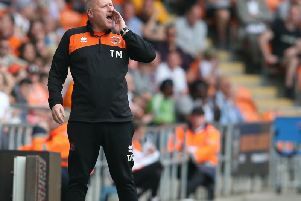 It was only going to be a matter of time until Terry McPhillips got the manager’s job at Bloomfield Road job on a permanent basis. But now it’s finally been confirmed and I don’t think anyone can argue it’s not deserved. Thrust into the limelight following Gary Bowyer’s shock resignation just one game into the new season, McPhillips has since overseen just one defeat in the nine games he has taken charge of as temporary boss. Four of those nine games have been wins, with the last one coming against Bradford City on Saturday in the most dramatic of circumstances. As soon as Curtis Tilt tapped home that last-minute winner to complete the most remarkable of turnarounds, you just knew the job was McPhillips’. If you needed any further evidence that these players were prepared to work their socks off and go the extra mile for McPhillips, Saturday’s last 10 minutes was all the proof you needed. In truth, he should have had it long before then. For a good few weeks now it’s been blatantly obvious that he was the only man in the running. McPhillips might have started with a loss - the 2-1 defeat which came just five days after Bowyer departed - but it was to a very good Portsmouth side who are currently second in the League One table. Since then, he’s enjoyed an eight-game unbeaten run which has included a run to the third round of the League Cup. 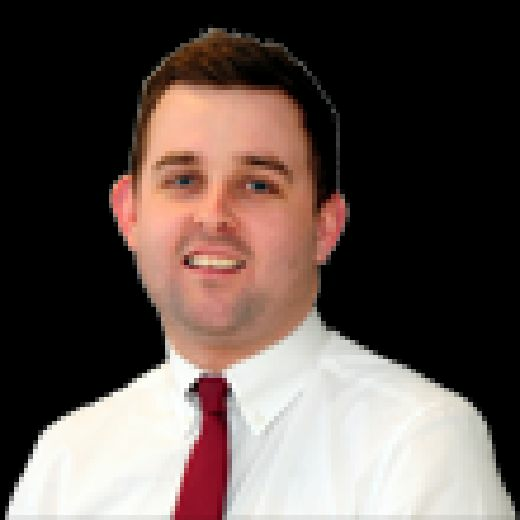 In the league, the Seasiders may have just won two of their opening seven games, but the performances have suggested it could, and perhaps should have been more. As it is, Blackpool sit in ninth place in the table. Not bad for a club that, until today, were without a manager, are without a training ground, have the most disliked owner in England and have been forced to undergo another summer of huge turnaround after losing a number of key players - most for free. Blackpool have brought in some promising footballers in Jordan Thompson, Harry Pritchard, Michael Nottingham, Marc Bola, Donervon Daniels and so on. The performances have been to a very high standard and not once have they been soundly beaten. McPhillips, or ‘El Tel’ as his former boss refers to him, is cut from the same cloth as Bowyer - who was fully supportive of his attempts to get the job. They don’t make a big sing or dance about things, they just get on with the job in hand and, more often than not, do it well. McPhillips hasn’t changed anything drastically, he’s continued Bowyer’s work and has brought in a number of players who Bowyer was already looking at - namely Liam Feeney and Daniels. I’m sure McPhillips will put his own stamp on things in the coming weeks and months but when you’re just starting off, why change something that isn’t broken? It’s been interesting watching McPhillips’ stance on the manager’s position slowly but surely change from, originally starting out with no interest whatsoever, to committing to wanting the job full time. Firstly, he played down any likelihood of taking the job on a permanent basis, insisting he was “Gary’s number two”. Then he began to pick up some positive results and you could see the temptations were beginning to creep in. Eventually, following Blackpool’s League Cup win at Doncaster Rovers, he admitted for the first time that he wanted it. I would have given it him there and then. There were no other outstanding candidates and Pool’s results and performances had already spoken for themselves. So what next? In the immediate short-term, McPhillips will begin preparations for Saturday’s trip to bottom-of-the-table Plymouth Argyle, who are yet to win in the league this season. Bringing in a new striker surely also has to be high up on the to-do list. But beyond that? The issues that led to Bowyer’s resignation still remain, so he’ll have that to contest with. He’ll also be the man tasked to guide the club through the ongoing uncertainty, with an unprecedented auction process looming on the horizon in the not-too-distant future. What else lies ahead off the field is too unpredictable to call, but we all know there will be developments. But for now, he’ll just be pleased to have his first job in football management. And well deserved it is, too.